Believe it or not, the heat and humidity will be back on the Northshore and metro New Orleans before you know it. In fact, with the unpredictability of Southeastern Louisiana weather, we wouldn’t be surprised if we have a heat wave before Easter! Nobody wants to be hot and sticky inside their home when the temperatures soar. That’s why now’s the time to schedule your routine air conditioning maintenance. You want to make sure your AC will be ready to pump in the cool air as soon as it’s needed! Thinking of skipping out on the service your AC needs this year? Or did you forget to call us out last year? Well, it’s not too late to make sure your AC will be functioning properly. The fact is, your home’s air conditioning system needs to be cleaned, and the Freon levels need to be checked every year. Cleaning your home’s AC system ensures that it’ll be pumping in the coolest possible air on demand! As trusted AC experts on the Northshore and in metro New Orleans since 1989, we’ve seen way too many local homeowners get surprised when they turn their AC on and it doesn’t blow in the cold air they need. To make sure you’re not left inside a sweltering home, it’s time to schedule a routine AC maintenance appointment now. Yes, even though it’s technically just spring. In fact, in Southeastern Louisiana, we recommend you get your AC system cleaned and Freon levels checked every Spring. Scheduling your home’s annual AC system maintenance is about more than simply cleaning your system. At Benfatti, we also check to make sure you don’t have any CO2 leaks, which could be extremely harmful and detrimental to your family’s health. 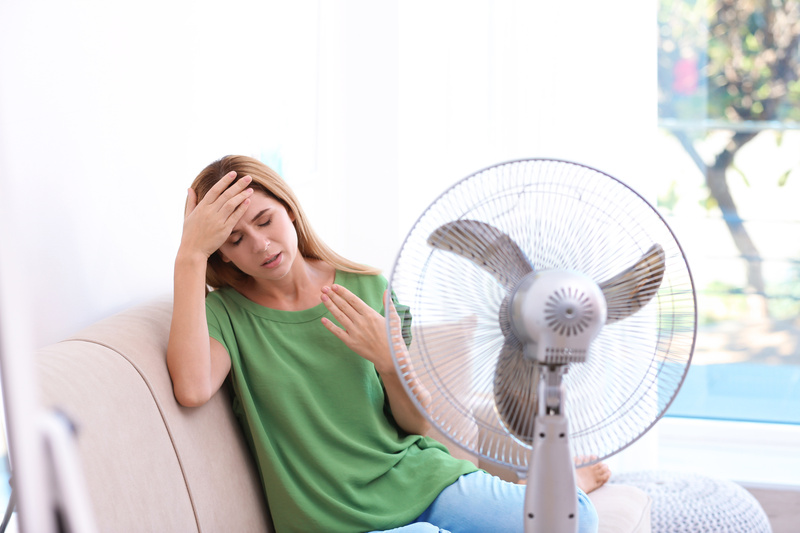 Did you know that often when an AC system stops working entirely, the issue could have been detected before you were left sweating in your home? By scheduling routine AC maintenance with us, we inspect your home’s entire HVAC system to make sure there are no larger concerns. If there are, we’ll give you a timeframe on when you should have the issue addressed, as well as a no-obligations quote. Sometimes, we’re even able to offer less expensive fixes than replacing your entire AC system if you were to let the issue go on too long without intervention. Who wants to pay more money on AC repairs? We don’t blame you. At Benfatti, not only do we want you and your family to stay comfortable when it gets hot outside, we want to leave as much money in your wallet as possible, too. While nothing can replace a professional servicing of your home’s AC system, there are some do-it-yourself tips that can help you keep your AC running for the long haul, as well as save you some major money when it comes to energy bills. We know you have an endless to-do list, but changing your air filters regularly truly does help increase the life of your AC system. You can even try online companies that auto-ship air filters every month, so you don’t even need to go to your local hardware store to buy them! The simple fact is the less you use your AC, the more money you’ll save on your electricity bill. We know that electricity usage jumps in our summer months as Northshore and metro New Orleans residents crank up their ACs. But if you can tolerate it being a degree or two warmer in your home, you can save some cash when that monthly bill hits your inbox. Smart thermostats are more than just modern looking devices on your wall. With apps to control them from your smartphone, you can turn your AC off during the day while nobody’s home, and turn it back on an hour before you plan to leave work so your home will be nice and cool only when you need it to be. If you need help choosing or installing a smart thermostat, we’re here to help! We’re familiar with all the top brands and can recommend the best option for your unique needs. Don’t wait until it’s too late and your AC system goes kaput. Call us today to schedule your routine, pre-summer maintenance. We can be reached at (985) 646-0540 on the Northshore and (504) 241-3135 in metro New Orleans.